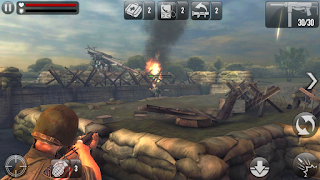 FRONTLINE COMMANDO: NORMANDY on Android - you will have to become the head of the landing, which took place during the passage of World War II. You will need to win the victory over the indefatigable forces of the occupation and free the great France from the invaders. 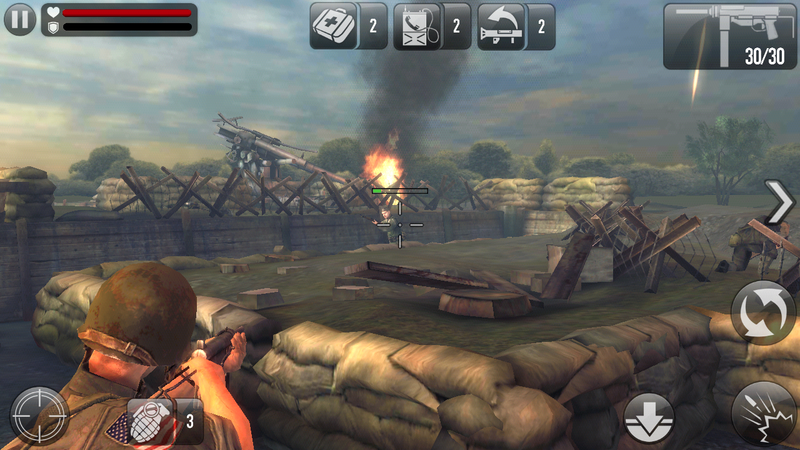 Protect your own trenches, storm nearby areas, free captured by enemy troops the city in the legendary Normandy. You will have to be at the very center of the fighting, managing your character with a third-person view.